Anyway, between all the popular brand, my choice is held onto Sony PSR-T1 because of these reasons: I want touch screen, I want physical buttons, I want it to be Android (so that I can root it), and it will be better if it has audio jack oh and, still reasonable price, please. 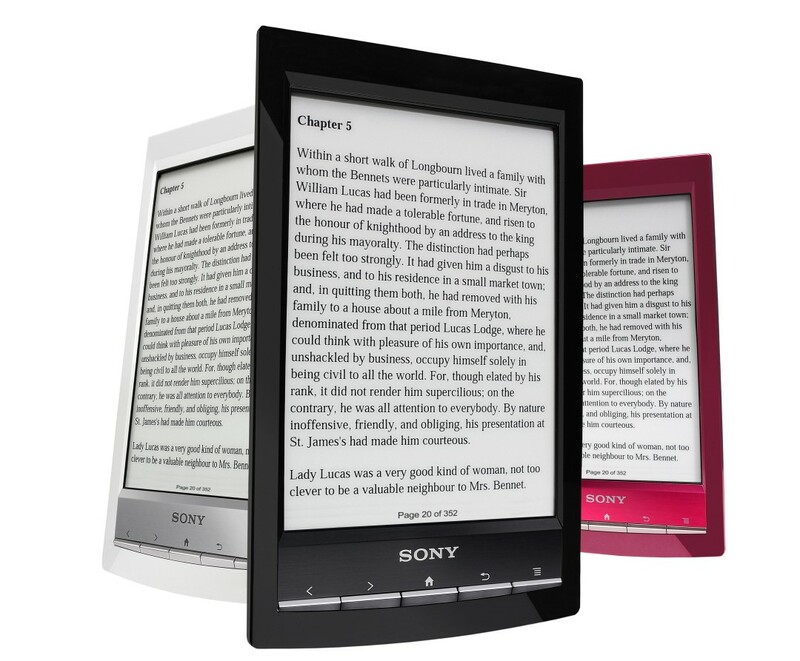 It is very hard though to find people who sell Sony ebook reader (importers will mostly have Kindle) and some who has it sells it outside my price range as written in the paragraph before. Last month I saw secondhand one with a somewhat reasonable price (still expensive though), so, that time or never, I bought it. Anyway, as soon I get and play with it, then, I root it (my main objective). Anyway, I thought rooting it will be quite hard and I was ready for it to be bricked, but as I follow the tutorial from here and here (I install Rupor‘s), it was so easy making me wants to root my Galaxy back, decision, decision. but reality tells me that it’s different. Some of the mentioned apps before can’t be installed (Radaee, Button Savior) and some turn to big monochromic mess (doesn’t work well with the display) (ACV). Eh, the internal storage for apps is only 50 MB, so no big apps then and need to install App2SD stat (with the aforementioned tutorial in the first paragraph). For book formats that can’t be opened by the stock reader. Modified ver. support physical button. I love pocket! Before, I was going crazy because I couldn’t use the physical button. With Buttonmap.apk I can make physical buttons work so I’m happy. It synced a bit weird so far. As for now. I am thinking of using Repligo, I’ve tried installing it but it is said that it’s flashing twice per page so I’m hesitant. it’s quite big too. My go-to apps for DJVU, can’t go wrong with this. It even supports physical button. Ebookdroid also supports DJVU but I haven’t tried it. Browser for the poor (I use them mostly because of their compression rate). Use them with No-refresh because if you don’t, it will flash like crazy. I rarely browse on my ebook reader though, I have a phone for that. Works very well, as usual, still trying. It is tied to my OldReader, so other RSS reader is not a good option. Come packaged with the root. It also works nicely as apps manager, so Total Commander then. To go to apps directly after NoRefresh, it can’t go back to Sony apps for it to work. Smart Bar works well but I don’t like it. Install Titanium Backup and Uninstall Bluetooth Share, Bluetooth Pairings, Contact Storage, Calendar, Calendar Storage, Dialer, Dialer Storage, and VPN Service. Uninstalling them should give more battery life. My plan is to flash (install?) modified homescreen by Morkl and change the xml file for configuration. Then accidentally I install the APK making problem with my SD card apps. The home screen changed though, but I need to reflash the Android. I don’t suggest to do this in case people get the same problem. Ebookhome is also nice but it’s not my style. I want to actually put icons for Pocket and Perf Viewer but all the effort for resyncing Pocket make me think twice. Oh, and because I want a clock in my book, I also installed Modified Reader by morkl. OK, all is finished and good. You can try to sideload your favourite apps by first downloading the apk with this. Or you can read the list of recommended apps for the T1 here. After this, I want to make simple dimmable LED light for reading. If I can find my friend who wants to buy me Nook Glowlight or at least Kobo Glo (Aura and Pocketbook Lux is still too expensive) for good in-the-dark experience, but surely I will miss the physical button. Sony is slowly putting off its e-ink reader line, Sony, why won’t you put out one series with light. I think it will still be out of my price range for an ebook reader). Do you have experience with e-ink device? Posted on February 18, 2014, in Plugging, Reading and tagged e-ink, ebook, prs t-1, reader, recommendation, rooting, sony, tutorial. Bookmark the permalink. 2 Comments.